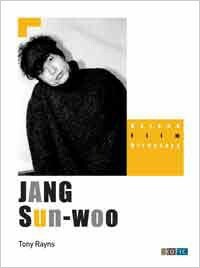 Produktinformationen "Jang Sun-woo - Korean Film Directors"
This is an introductory guide to JANG Sun-woo, one of the most controversial and talented Korean film director. Written by Tony Rayns, a critic and also a film director himself, this book contemplates JANG Sun-woo films with a scholarly passion and delves deep into JANG's contradiction - that he knowingly and happily situates himself in the margins of the Korean film industry, producing work with popular appeal, a contradiction that exactly mirrors the rapid evolution of the film industry itself. Weiterführende Links zu "Jang Sun-woo - Korean Film Directors"
Kundenbewertungen für "Jang Sun-woo - Korean Film Directors"